Ample Moving New Jersey is here to answer all your questions and concerns with a professional attitude. As a New Jersey-based company, we serve NJ and surrounding area. It doesn’t matter whether you’re moving short or long-distance, moving your home or office, we got you covered. Although a young company, we are constantly putting an effort into keeping up with the modern trends. Therefore, our equipment, the supplies we use, and the know-how are being improved on a daily basis. This allows Ample Moving NJ to constantly grow and meet your requirements, whatever they might be. The thing we’re proud of the most is our personnel. Not only that we’re hiring only the top moving professionals from New Jersey, but we strive to upgrade the know-how by investing a lot in training and education of our employees. This is why we are sure that we can meet all your desires. 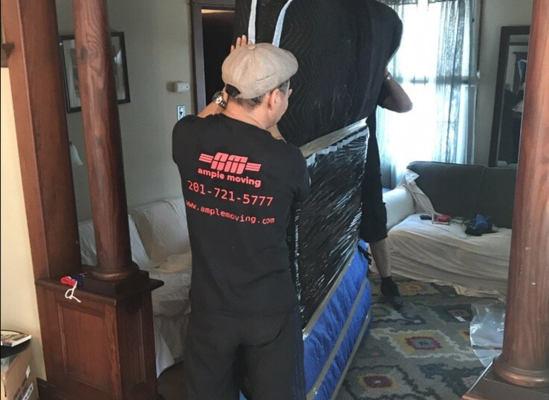 The holistic approach to the customer, since the very beginning, is what makes us the best choice when searching for NJ moving companies.